Why Should You Always Choose SPOTO? SPOTO was found in 2003, has 16 years of IT certification training experience. We offers 100% valid and stable IT certification exam questions and answers to help customer to pass the IT exam in the shortest time. Our products cover Cisco CCNA, CCNP, CCIE Written, CCIE Lab, CISSP and Redhat certification exams. Our reputation and success have grown from our dedication and professionalism that allow our SPOTO offers accurate exam preparation materials. We ensure that our customers do not have to play the guess game in the course of their IT certification exams. This is why we bring you this smart and effective eLearning solution you'll be happy to recommend to your friends and colleagues. LAN Switch Overview And Maintenance Instructions. The store-and-forward mode is the most widely used method in the field of computer networks. 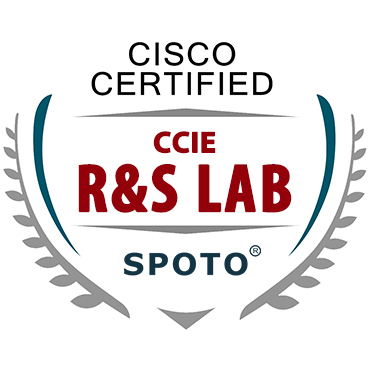 Pass Any Exam and Get My Certification--CCIE RS Lab. Collect Pre-Lab archaeological questions from various educational centers. 3 Tips to Fast Pass CCIE Wireless Lab Exam. This study guide would be considered as an instrument to gain you on the same page with Cisco and also to understand the nature of the Cisco CCIE Wireless exam.